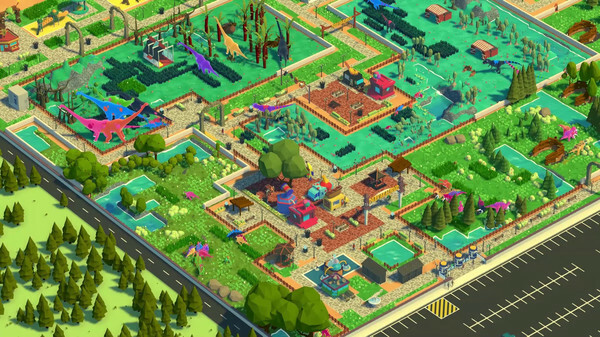 Parkasaurus challenges the player to plan, design and construct fabulous exhibits that maximize both the happiness of their Dinos, and the park guests’ satisfaction and willingness to spend money! 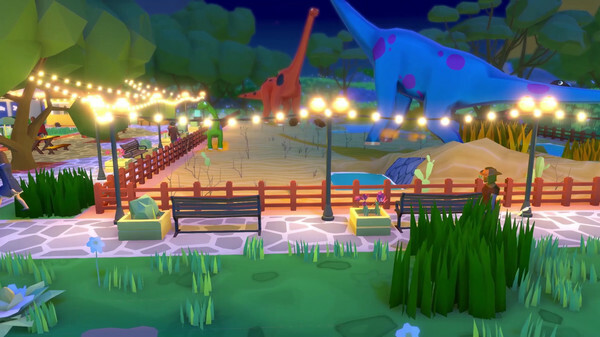 Starting with only a dream and an abandoned park the player will discover ground breaking technologies, new attractions and a special bond with each of their Dinos, all captured in stunningly beautiful modernized 3D flat design graphics.. 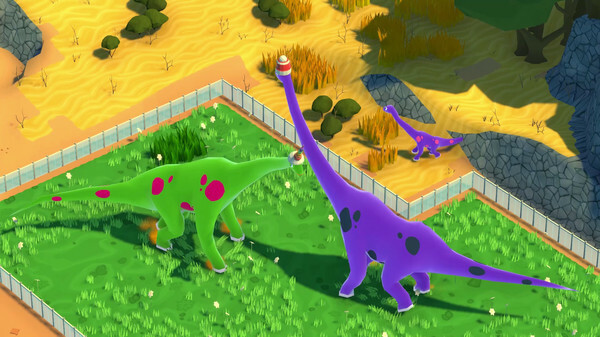 In Parkasaurus if you care for your dinos, discover new technologies then your park will thrive. Design success – each dinosaur requires a unique biosphere, which means the shape of exhibit, materials used, ecology, plants, elevation and humidity all play a key role in the success of your Dinos. Wisely spend resources to build the ultimate Dino Park with over 80 buildable items and 4 employee types. Nurturing and raising Dinos from eggs to full adults, with the base game including 24 Dinos to discover (more added regularly). Unique privacy and biome systems that promote creative design. A dynamic review system where each guest leaves a starred review based on their experience. Level up rookie hires, or bring on established veterans, to help run your park smoothly and efficiently. Currently Parkasaurus is entering Early Access this September 25th 2018 for those interested in forging the direction of this game. We have so many ideas still to do and would love the support of a Parkasaurus community to help us decide what to work on next. And If You Read This Far, Thanks, We Love You!